Weather conditions Mostly cloudy with the sun breaking through occasionally, and no wind! Phew, that was a tough day. 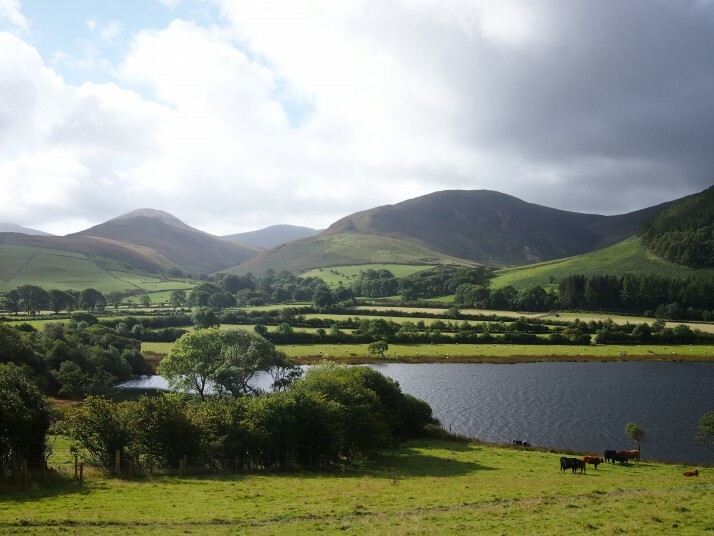 The first section of the C2C out of Whitehaven is a really nice surfaced railway path rising slowly up into the Lake District, this is followed by undulating country roads past Ennerdale Water, around Loweswater, and across the top of Crummock Water. So far, so good, and great views as well. Next was the day’s first serious climb up to Whinlatter Pass. The first part was steep but on road and then forest trail and we reached the top with just a couple of rest stops and no walking so were feeling pretty good about it, then it was a fun descent through the forest towards Keswick. 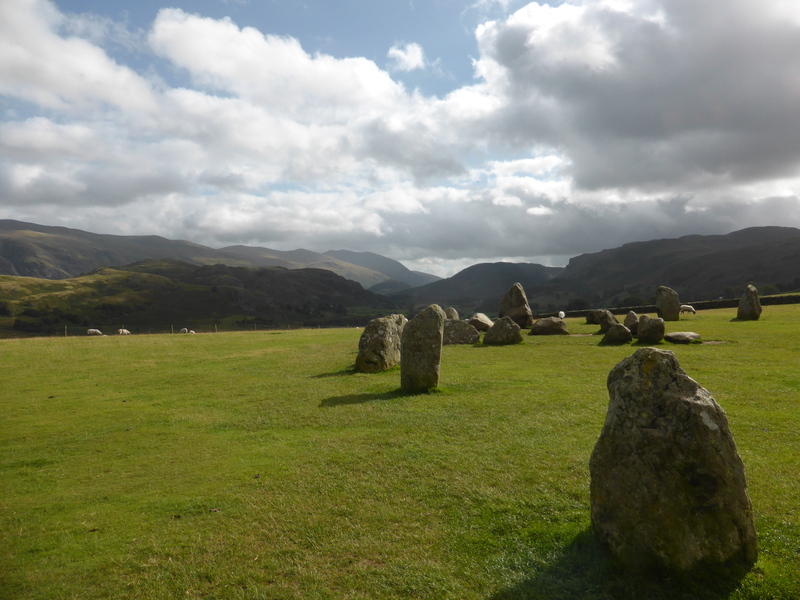 After Keswick we deviated slightly from the standard path up another steep climb to Castlerigg Stone Circle. Andrew had twisted my arm to continue on the alternative route, from this point it’s called the Old Coach Road section. On our map it is marked as suitable for “experienced mountain bikers only” but he insisted it would be fine. 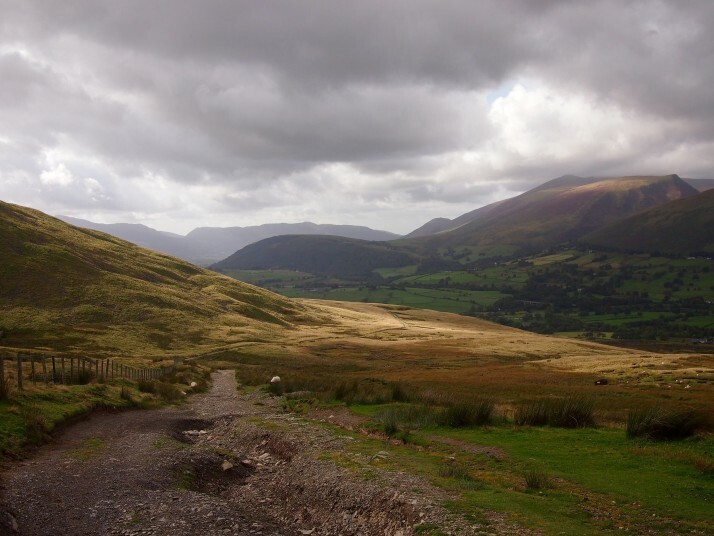 At first it was, but the path soon got too steep and covered in loose rock and gravel for us to ride up (Andrew fell over three times before he relented – he’s fine) and we had to walk most of the way to the top. Once it had levelled out we could ride OK and the views were superb, but it really slowed us down and tired us out. 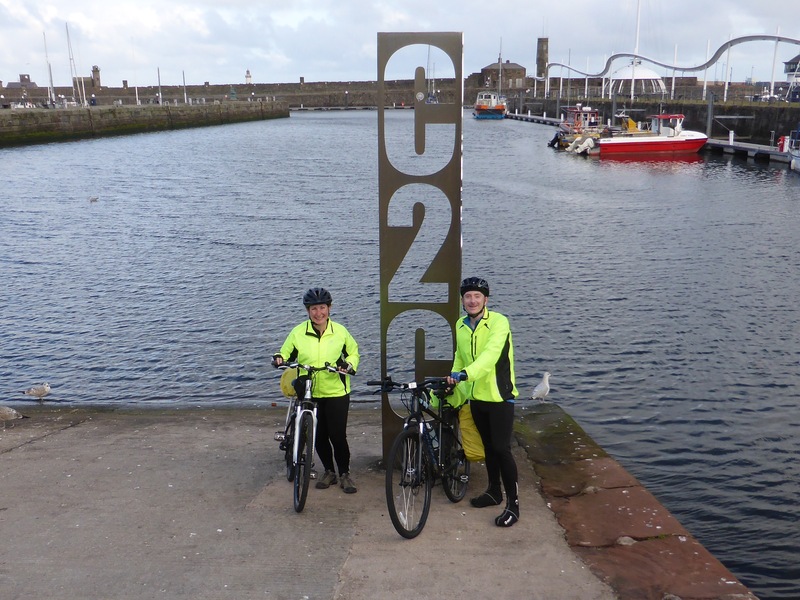 It seemed like an awfully long way down to Penrith but we made it and hopefully not too worse for wear. A shorter distance tomorrow but lots of hills. 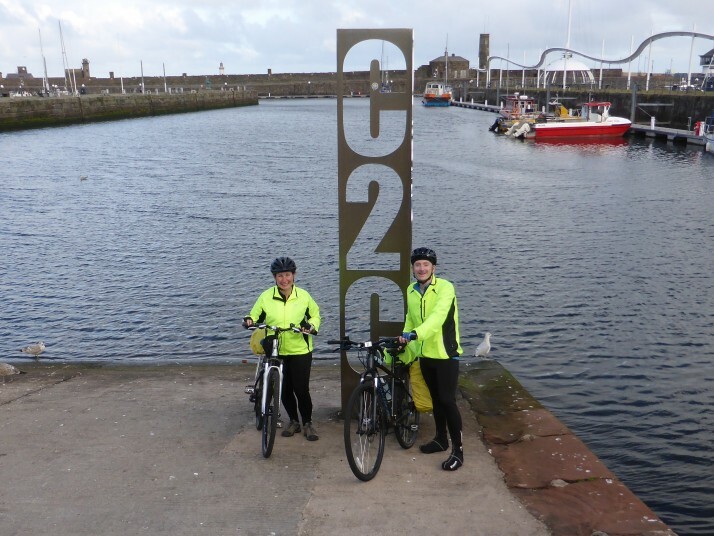 This entry was posted in Experiences and tagged Bicycle, C2C, G2C2C, UK on September 25, 2015 by Julie. Glad to hear you have survived the first day. Thinking of you both. Good luck for tomorrow, weather looks good.